Congratulations, Donna! Please email your contact information to valerie@markerpop.com to claim your prize! I love how she turned out! 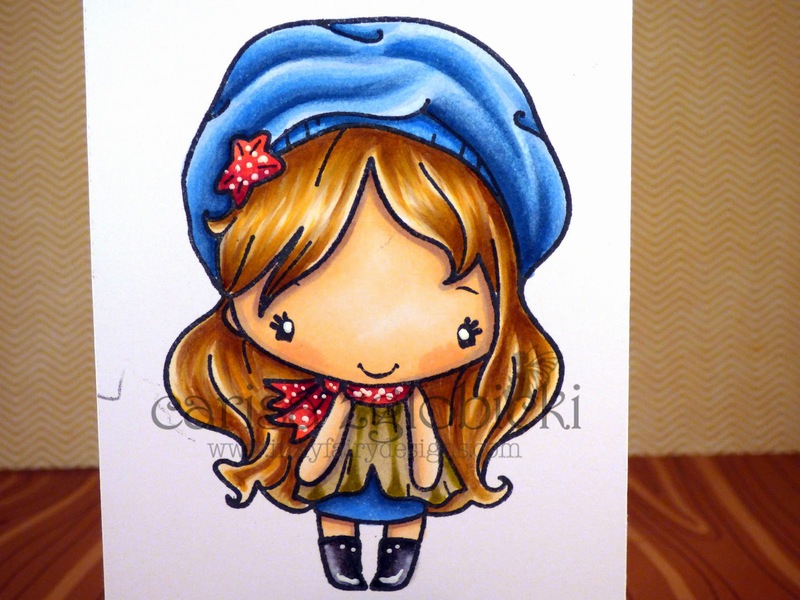 I stamped her on Copic Xpress It Blending Card Paper with Memento Tuxedo Black in and colored her with Copic Markers. 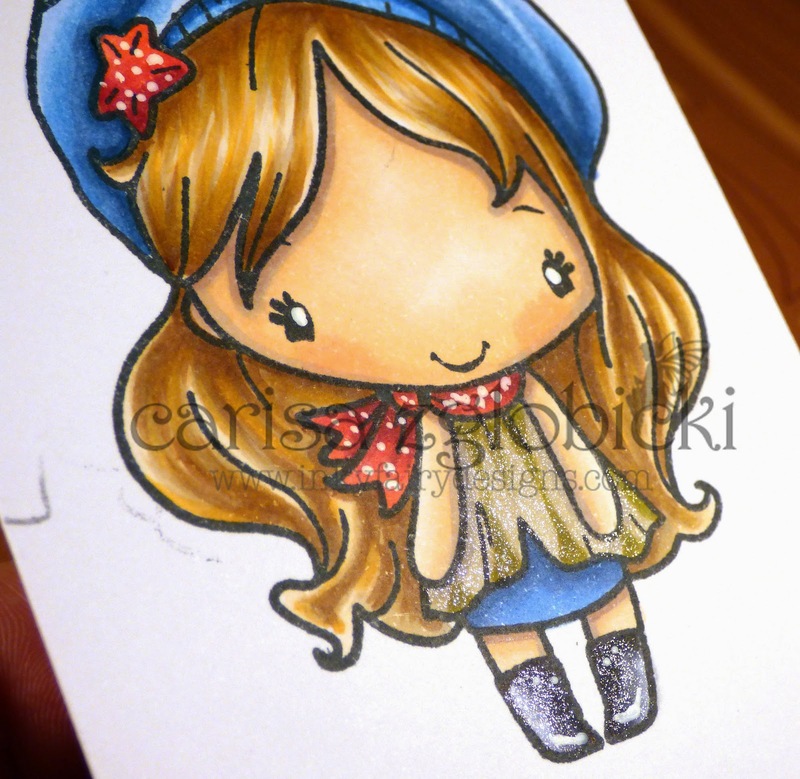 I also used a white gel pen to add some fun polka dots to her scarf and star on her hat but you could also do this with the Copic Opaque White Pigment paint. Of course, I also added a little clear Wink of Stella to her adding it only to her shirt and her boots. I just love that added bit of shimmer and you can see how beautifully the coloring still shows underneath. Here is a list of all the Copic Markers I used to color this image. 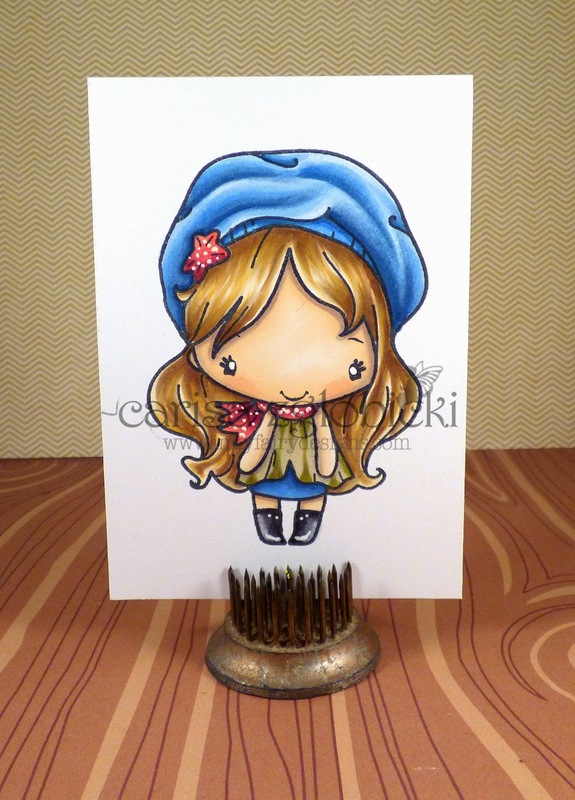 I have used a stamp by The Greeting Farm called TGF Color Combo to list my colors. 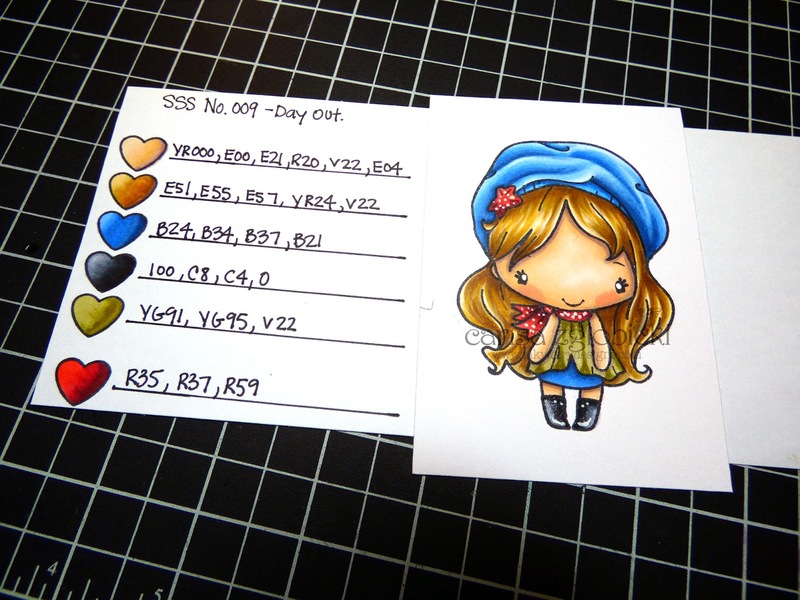 I love this because I can color the little heart images with the actual colors used for future reference! That's it for me today, I hope you enjoyed my video and be sure to check out our 'Anything Goes' challenge happening RIGHT NOW - we love seeing your awesome creations! !